The Singapore Horse Show is an action packed weekend with lots of activities for all the family (young and old) including Pony Rides, Pony Feeding, Farmers Market, Barrel Rides, Tractor Rides, Horse Riding demonstrations including Dressage and Showjumping, Archery, Zorbing, Dog Agility and Dog Jumping, German Shepard dog demonstration and lots, lots more! The farmers market will showcase local products and companies from Singapore. Bring your family and friends and get close with our horses and ponies! 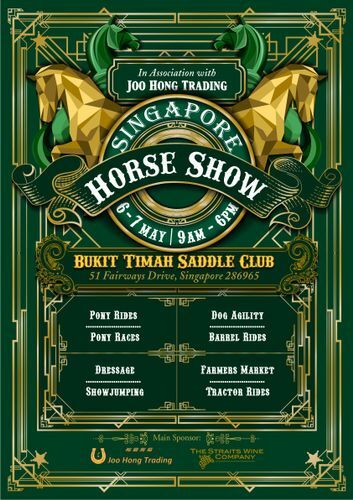 Bring your picnic or get your food from our local vendors and spend a day in the wonderful lush greenery of the Bukit Timah Saddle Club. Dogs are welcome!